I didn’t disappear. I have been working hard and long hours and coming home and crashing…. Yesterday I missed work because I had to replace the main drain in the house. All day project, yesterday. Nearly done, just a little left to do. SO my friend NI, one of my most ardent supporters on this Journey of mine, sends me a message one day asking if I would like to be part of a fitness challenge sponsored by MIT on the GETFIT.COM website. The idea is to log in each day or so and record your fitness activities for the day/week. Goals are set for total minutes of fitness activity each week with the amount increasing each week. I am all about the motivation and not letting teammates down is a powerful motivator for me. I am excited about it. The FitBit makes it easy for me to track my fitness activities and that will make it simple to record on the website. As the weather improves I will be outside riding and walking and maybe even running and that will help. The rest will be up to me to make sure I get the time in. All of this plays in beautifully to the preparations for bikes rides like the Five-Boro and Montreal and Ride-4-Autism and many others that I plan to do this year. I think that planning fitness activities be they runs or walks or rides, by signing up for events is a great way to keep motivated. I have invested the money to sign up and that, along with the set date and distance of these events, keeps me on the road walking and riding so that I am ready for the event. The money is a small consideration. I don’t belong to a gym so this is my fitness budget…. I am really excited about this GETFIT challenge. It is everything I want to do: plan activities, get out and do it, BRAG ABOUT IT!! As The Team and I move along this 12-week challenge I will post updates here and let ya know how we are doing and if I am holing up my end of the bargain! I have mentioned before how I really don’t deal well with cold now. I was OK with cold when I was fat. Now, maybe because I have lost so much insulation or maybe because I don’t work as hard moving my mass around, I feel the cold something awful. It makes riding and walking in the cold very hard on me. Much harder than it was last year in similar cold weather. Now the last week is an exception as we have not had this kind of cold in about 3 years. But last winter in 35-40 degree weather I was able to walk and stay warm. Now when I walk, at a much faster pace than I walked last year, I cannot get warm. The feet are a particular issue. They get painfully cold and I know enough about that to know that it is a sign of impending damage. By mid-week the temperatures in this area are expected to reach the mid 50’s. I am good with that! I will plan a few good long walks after work to kick off the Fitness Challenge! In the mean time I will continue to dream of spring. My birthday is in early March and I want to get in a 20 to 30 mile ride on my Birthday. Last year I rode 10 miles. I was so proud. I put in a huge amount of walking, steps and a 10-mile ride. This coming birthday I plan to at least equal that. I will actually do it the day before my birthday as the actual day is a Monday. So Sunday will be the day. I just hope the weather cooperates. I may go for a hike tomorrow. It is going to be above 30 degrees and I really want to get out, even in the cold even with my freezing feet. The LL Bean winter boots will have to do the trick… I can get the body warm…. It is the hands and feet. My gloves had a little pocket in them for those little heat packs. I have never used them but tomorrow might be a good time…. I hate being stuck in the house. I love being on the trail. Maybe take the dog. Casey loves it. Cody is so afraid of the car ride that I can’t take him. Poor thing must think he is being taken to the pound again. He still doesn’t seem to understand that this is his home, he is part of our pack. A hike does both the body and the mind good. A winter hike helps ward off the winter 5-pound gain I have been warned time and again about. Also sometimes the winter 10…. 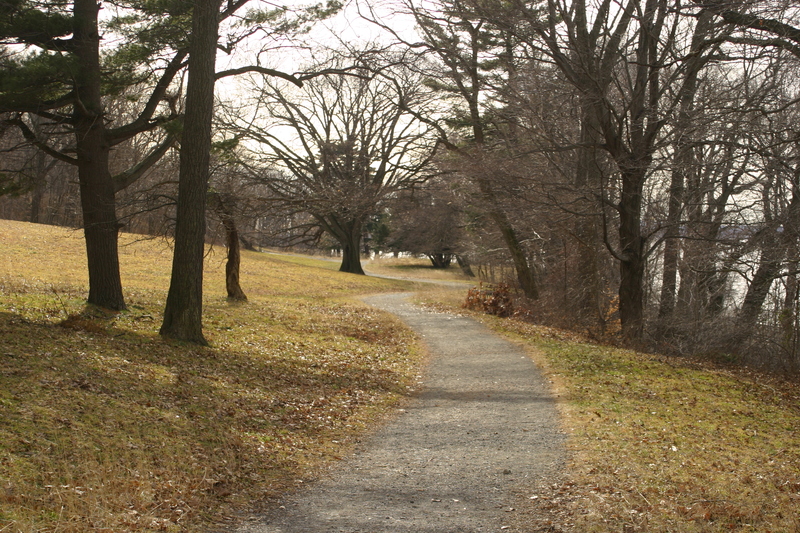 The Rockefeller preserve calls to me…. Anyone want to go along? 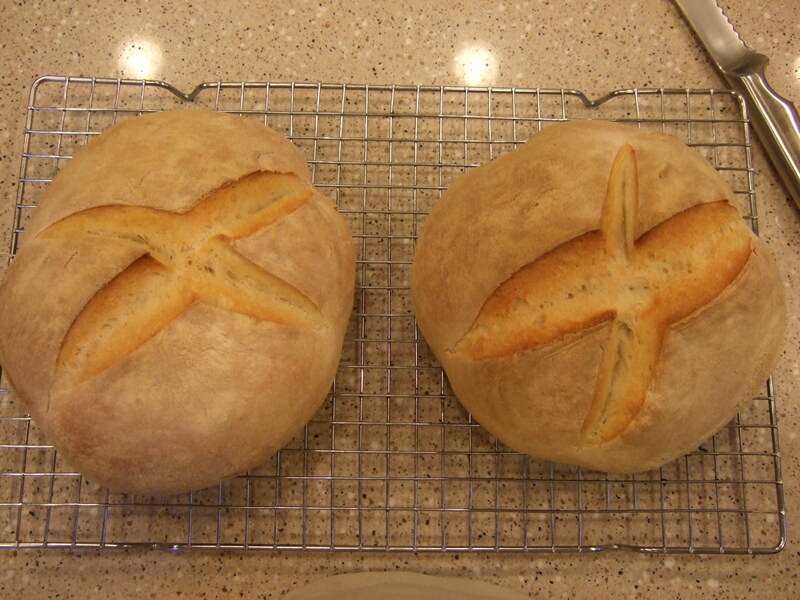 One of my hobbies is bread baking and I have done very little of it since I started my Journey. I have not cut out carbohydrates at all but I am a nibbler when it comes to bread and I would rather not have my fresh-baked breads around… I have though recently returned to bread baking for the boys. The Older one loves my whole wheat bread and the Younger loves the French breads. To avoid the nibbling takes willpower and I have done alright. I find that if I plan it so I eat lunch JUST before the bread come out of the oven I do better….. I put salsa or mustard or lemon slices on the fish. No breading and I never fry the fish. It is always baked, broiled or grilled. I never feel deprived because of the lack of the cream sauces or frying. I am very satisfied by the meals I make. Simple, complete nutrition, very tasty, very satisfying. About a year ago, just a few weeks in to my Journey, I went out to eat at an Indian restaurant with my group of friends. I was nervous. I had not eaten out since the start of the Journey and I was concerned about over eating. I went on-line, read the menu, selected exactly what wanted to eat after researching the probable calorie level on-line and I stuck to my choices like glue. I had exactly what I had planned, avoided the appetizers, had no dessert and I went home proud of myself for figuring out how to do it and then sticking to the plan. A bit more than a year in to the Journey I still do it exactly that way. Next week I am having dinner with the same group of friends. We are going to an Asian vegetarian restaurant. I have been there before so I know what to expect. I have already gone on the website, selected what I will have (General Tso’s Crispy Tofu). I will have soup, no appetizer, no dessert. I will prepare for this by eating a lighter lunch than normal and I will avoid the evening snack. I expect dinner to be 1000 calories. I will enjoy the company of my friends. The common theme here is planning. I plan everything and I think it is this more than anything that has allowed me to reach my weight loss goal, maintain the loss and increase my fitness. I plan. I plan hikes, I plan rides, I plan meal whether at home or out with friends. I plan to succeed. The bike rides I sign up for, the hikes I plan with friends, the evening walks and rides… All about the planning, the setting of goals. I would not have gotten here without the planning. Categories: bicycling, Cooking, Cycling, Eating out, Father-Son, FITBIT, Friendship, Fruits and Vegetables, Hiking, Vegetarian, weight loss | Tags: cooking, Cycling, diet, Dog, dreams, evening snack, excuses, exercise, Father-Son, fear, fitbit, fitness, Friendship, healthy-living, Hiking, Vegetarian | Permalink.